Do you have a Construction Company? Are you new to digital marketing? 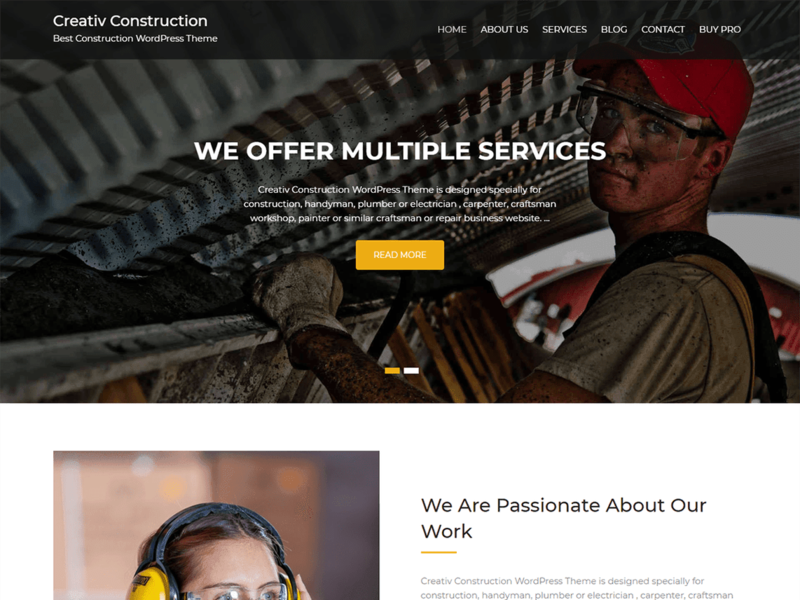 Try these Free Construction WordPress Themes to start up your website. 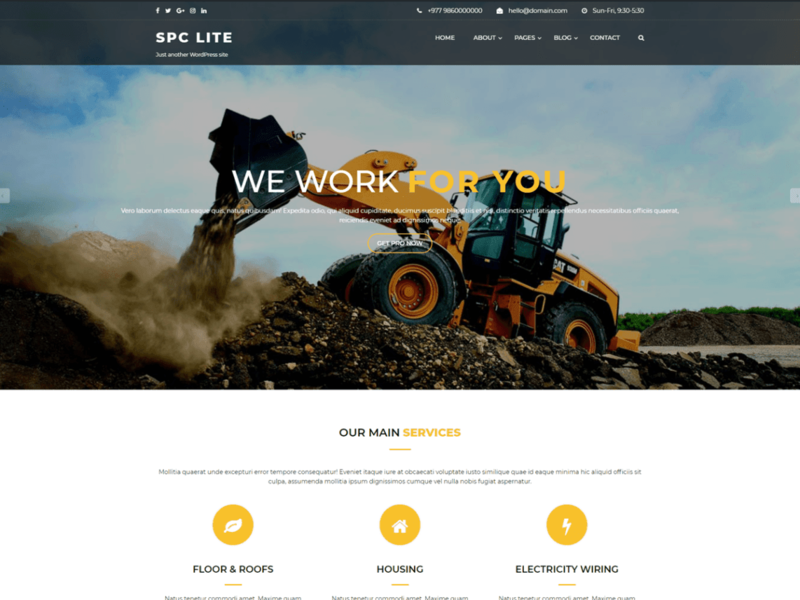 Spark Construction Lite is a Multipurpose WordPress Theme which is designed and developed targetting agencies and companies which deal with construction, renovation, architecture design, engineering etc. Mega Construction WordPress themes are designed specially to showcase all the real estate solutions and services such as quality construction, property dealers, real estate agents, real estate brokers, repair, architecture, renovation etc. to the targeted audiences. Mega Construction is capable enough to make a professional website. 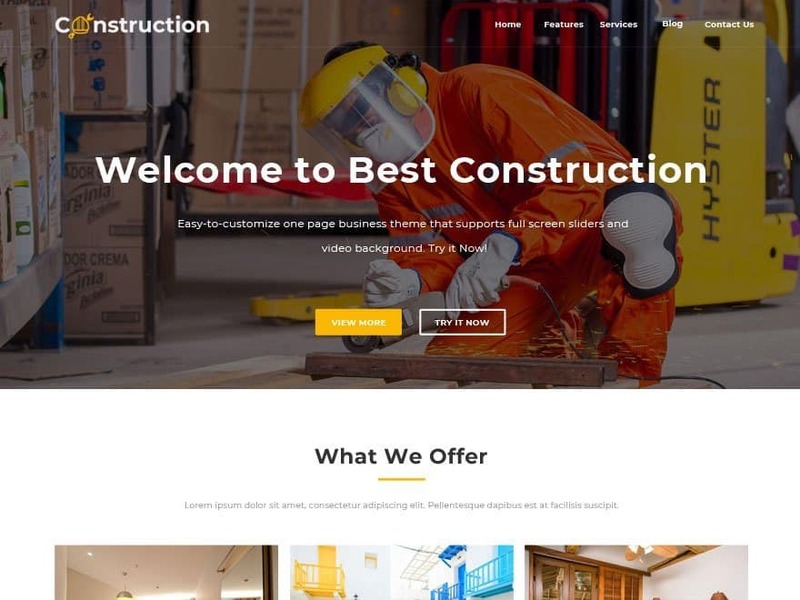 Best Construction is purpose-oriented WordPress Theme that comes with loads of features, perfect for any plumbing, remodeling, renovating, and other construction related businesses. 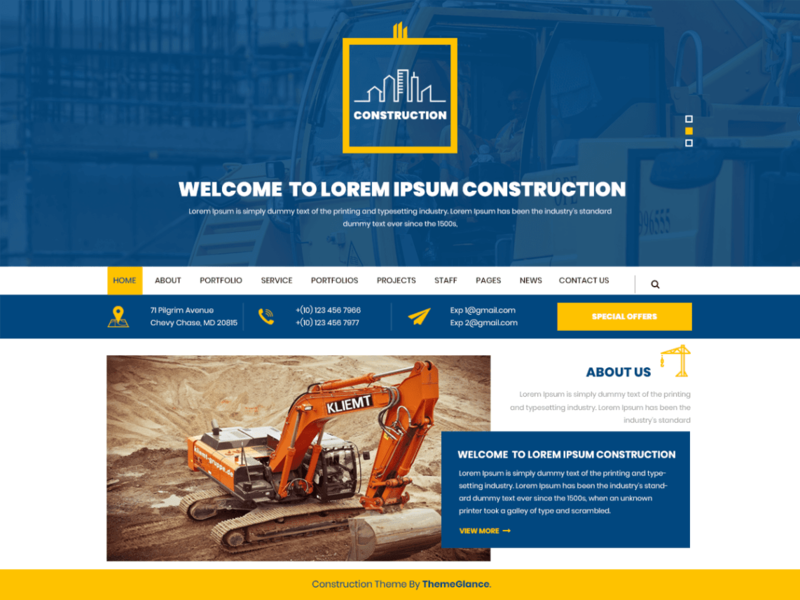 With a beautiful and unique design, Creativ Contruction is perfect for construction, handyman, plumber,electrician , carpenter and more related business websites. 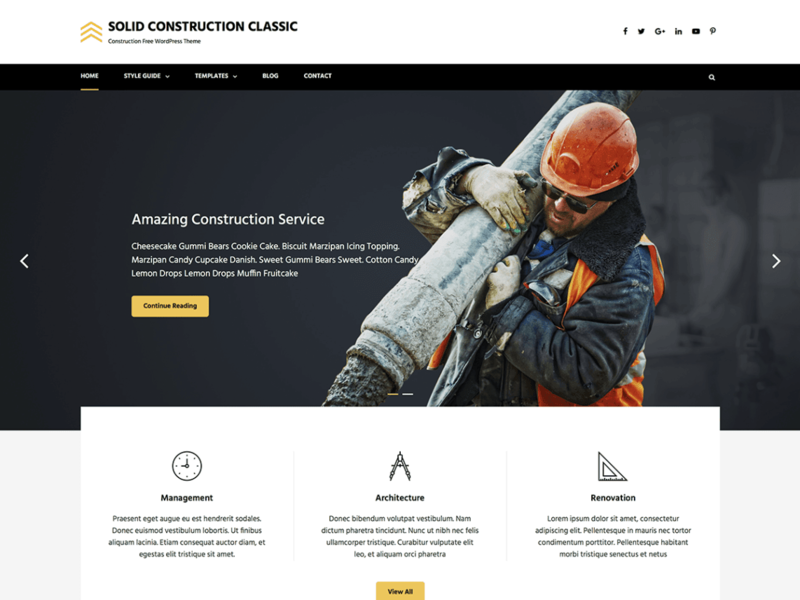 Solid Construction Classic is a simple and clean, robust and reliable, professional and classic WordPress theme that has been constructed in order to flaunt your products and services online. Showcase your construction and architectural business through your website in a revolutionary way and increase the number of visitors and clients you get every day. Can you help me with this “Bootstrap portfolio template” ? Hi @disqus_VaQkbjKcBP:disqus this is a static HTML template. You will have to code PHP to get the forms work done. You can close the preview bar when you check with phone. Thank you. I tried to close it. But nevermind, I uploaded your file on test server and theme worked on IOS. But there is still issue with Firefox. The reason is in animate.css, but this issue was closed as bug in browser. So thank you for your theme and your time to answer.